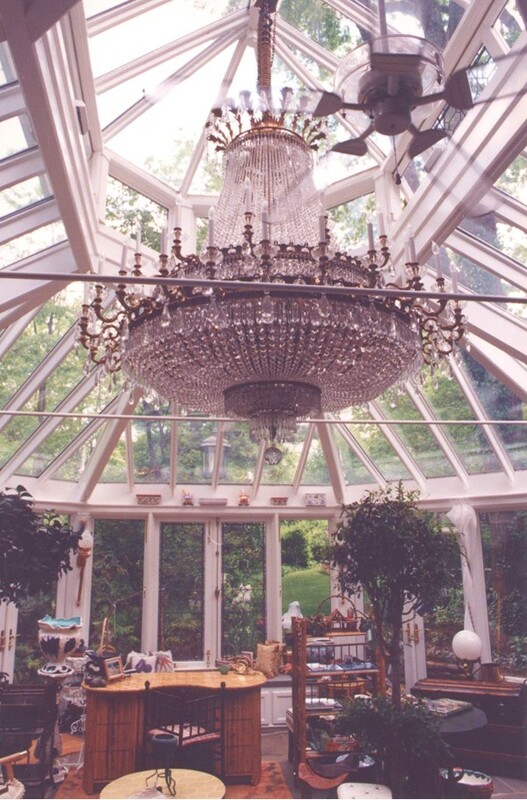 Completely custom designed classic octagon conservatory with lantern roof fabricated for an indoor outside sitting room. This room features classic cove and bead molded wood frame and trim interior with profiled columns and crown moldings. It has full view french casement wood windows with solid brass european style push bar hardware with surface bolts and hinges and french door sets with multi-point hardware. 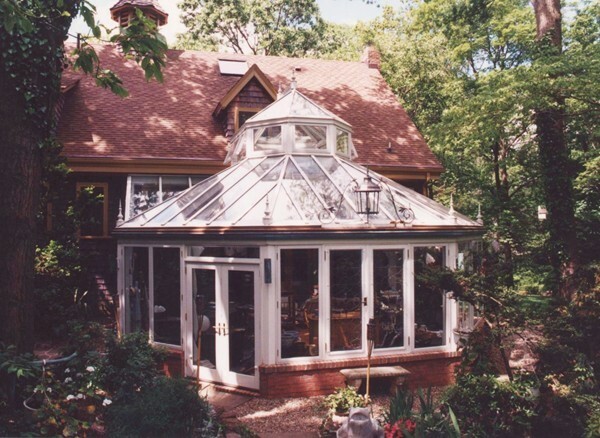 Antique leaded windows were re-fitted with motorized hardware to offer ventilation in the lantern. Adorned with custom cast aluminum finials and ridge cresting. The lantern was structurally designed to support the 1000 lb. 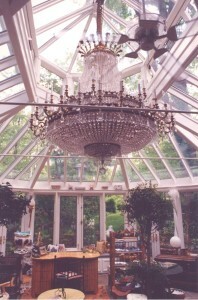 antique chandelier displayed in this room.